The Lava Lamp Was Invented By Whom? The Flattest Country On Earth Is? The colorful and motion-filled Lava Lamp, an iconic piece of design and kitsch from the 1960s, seems like the sort of thing that someone with copious amounts of LSD in their system would envision. In reality, the groovy little lamp wasn’t the product of a hallucinogenic induced epiphany, but the result of a British accountant, Edward Craven Walker, watching a pub employee’s makeshift cooking timer. The timer featured a hunk of wax in a cocktail shaker that liquefied and bubbled to the surface when the heat of the food on the nearby stove melted it. Walker set about recreating the hypnotizing effect, only this time warmed by a light bulb. 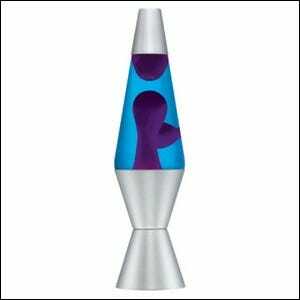 After much experimenting, the Lava Lamp, almost entirely unchanged from its invention to today, was born. Although we’ve come to associate the lamp with 1960s counterculture, the adoption of the lamp as such was entirely organic–Walker never marketed the lamp as such and his company even produced “executive” Lava Lamps that featured walnut bases with pen and business card holders.